Ludum Dare was on this weekend. It's a competition where you are supposed to make a game during 48 hours, and you may win fame and glory if you make a good game, so no money is involved. But people have come up with good ideas by participating in the competition, and they have later modified the game, sold it, and thus made money from it. One example is the game Broforce. There are two different competitions going on at the same time: Jam and Compo. If you are participating in the Compo, you have to make everything yourself, including the textures, models, and sounds. Not a single piece can be found by googling. This is a however a gray-zone. Are you allowed to steal an engine sound from a YouTube video, or do you have to record it yourself? While making my game, I watched a Twitch streamer who was also participating in the competition, and he had a really hard time making sounds for his game. You could see on the stream how he squeezed a coca cola can to make a specific sound, so you have to be a little creative. I usually get my sounds from this site: Bfxr, which is a site you officially are allowed to use. I usually click a million times on the "generate-random-sound-button" until I find something useful and then I modify the sound in Audacity. Each Ludum Dare competition has a theme. 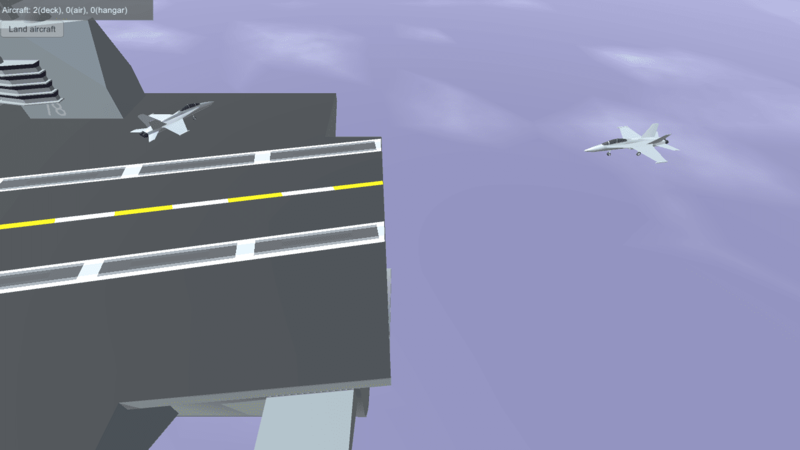 The theme this time was "A small world," so I decided to make an Aircraft Carrier Simulator. You can say that an aircraft carrier is like a small world because you can find everything you need on the ship. A few years ago I made an airport simulator for the same competition. It failed miserably, and I have hopefully improved since then. 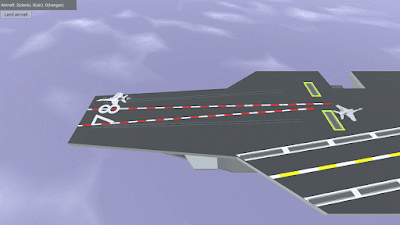 The game idea is that you are in command of this aircraft carrier's aircraft operations. It's your responsibility to steer the aircraft so they can refuel, land, and launch from the catapult so the enemy is not coming closer than zero meters from the aircraft carrier. If the enemy get any closer, you fail! The more aircraft you have in the air, the more difficult it will be for the enemy to come closer. 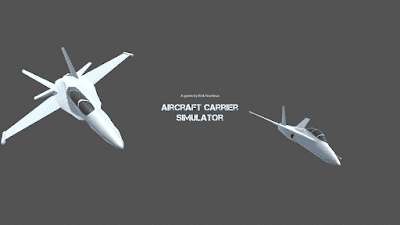 If you think it looks and sounds interesting, you can test the game (and download the source file) here: Aircraft Carrier Simulator.